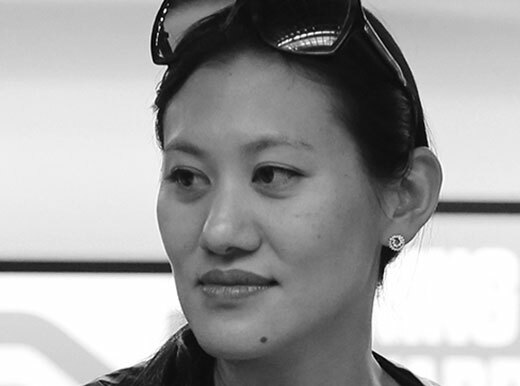 Marisa Yiu is an architect and Founding Partner of ESKYIU, a multi-disciplinary architecture studio that actively integrates culture, community, art and technology founded in New York and based in Hong Kong. Along with her partner Eric Schuldenfrei, they were awarded the “Architectural League Prize” for their design installations featured in the Venice Biennale and New York’s Lower Manhattan Cultural Council, and recently received the “Design Vanguard” recognition by Architectural Record. Their projects have been featured in Wallpaper*, Surface Magazine, Tatler, A/D, Domus China, SCMP and were listed as TIMEOUT’s “Designers You Need To Know”. In 2009, Marisa was the Chief Curator for the Hong Kong & Shenzhen Bi-City Biennale of Urbanism\Architecture located on the West Kowloon cultural district waterfront; and recently she curated the POP-UP Studio-X Shenzhen at the Value factory. She has spoken at Princeton University’s ‘Alternative practices’ series, TEDxCUHK, Business of Design Week, IFOU, UNESCO forum and at Harvard’s AsiaGSD conference. She has taught at London’s Architectural Association; Columbia University’s Graduate School of Architecture; Parsons; Cooper Hewitt National Design Museum with the Center for Urban Pedagogy, the University of Hong Kong and the Chinese University of Hong Kong. She received her B.A from Columbia College, Columbia University and M.Arch from Princeton. Yiu is a licensed architect in the state of New York, AIA architect member, an associate member of the HKIA, Board of Advisors of RTHK, and Board director of the non-profit organization the Hong Kong Ambassadors of Design and the newly established Design Trust.